An experienced Private Investigation company; delivering a unique, reliable service in an 'unregulated' industry. Offering a wide range of Private Investigation services. 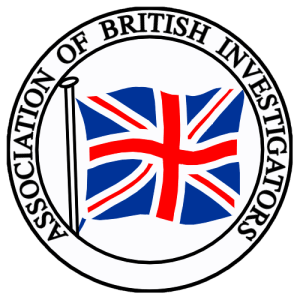 The principal investigator of Lateo Surveillance Ltd is a full member of The Association of British Investigators. Specialising in Covert Fraud Investigations to uncover illegal acts including gross misconduct and serious breaches of Health & Safety. Offering a discreet Private Investigator service with confidentiality assured. A diligent, trusted partner offering a unique, reliable service. Why come to Lateo Surveillance Ltd? Lateo are ICO (Data Protection) registered, hold public liability and professional indemnity insurance and are full members of the Association of British Investigators. Our operators are professionally trained, qualified and experienced. Fully equipped with the latest technology to provide evidential grade evidence that is admissible in court. The safety of your personal information is paramount. Lateo are industry leaders in data security and is the only private company in the UK who have invested in BCRYPT data security. Lateo have invested heavily in professional surveillance equipment and software providing you with a first class product in a time frame, unrivalled within the investigation industry. Our fees are competitive and transparent. We do not sub-contract your work to unknown, unqualified investigators on insecure forum groups, this keeps our prices low. Lateo Surveillance Ltd is a leading, experienced Private Investigation & Commercial Surveillance company working on behalf of legal, commercial and private clients in the UK and internationally; delivering pragmatic and diligent solutions. Lateo Surveillance offer a wide range of Private Investigation services to complement our specialist core service, obtaining covert video footage.Located in Co Durham and Harrogate North Yorkshire. Our highly trained Private Investigatigation team serve the North East including; Durham, Tyne and Wear, Northumberland and Yorkshire including their surrounding areas with the highest level of expertise and regional knowledge. Our experienced, qualified Commercial Investigators operate Nationwide and Internationally. Investigating claims validation, such as personal injury, income protection fraud, serious malpractice within the workplace, for example; theft, director fraud, employee fraud, absenteeism and misappropriation of funds. In an ‘unregulated’ investigation industry, can you afford to trust anyone else? How to become a GDPR compliant Private Investigator within an unregulated industry has brought with it many challenges. Many months have been spent diligently preparing for the implementation of the General Data Protection Regulation (GDPR). If you need to find a GDPR Compliant Private Investigator, then look no further than Lateo Surveillance Ltd.